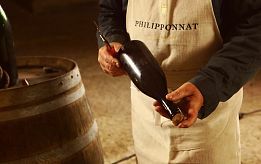 Philipponnat crafts its wines using exclusively first press juice from the finest grapes, mainly from Premier and Grand Cru plots, and is committed to harvesting grapes when they reach greater maturity than the average in the Champagne wine-growing region. 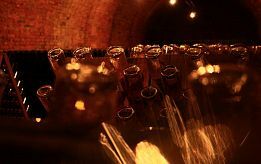 A portion of the wines is fermented or matured in casks, which is exceptional for Champagne; aging in wood gives them greater complexity without in any way coarsening them. 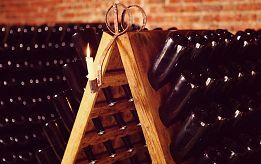 Wines are aged in the bottle on lees for three to eleven years. 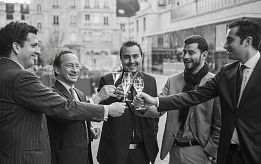 With a distinctive style that does not yield to trends, the House produces a range of Champagnes which are first and foremost wines: flavourful, powerful and well-balanced. Their aromatic intensity (a particular characteristic of Pinot Noir) provides a common thread and freshness and minerality gives them their structure. This perfect balance between intensity and freshness is maintained with a low dosage. 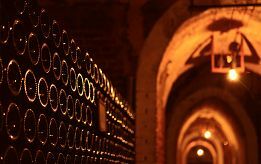 Philipponnat stores the older vintages “neck down” in the “Caveau du Trésor”, to be disgorged on request after a long aging period. The Philipponnat collection offers a full range of wines to be enjoyed on all occasions: each cuvée is well-suited to accompany haute cuisine. The range of three non-vintage and three vintage cuvées is rounded off by the prestige cuvees: Cuvée 1522 and Cuvée 1522 Rosé, Clos des Goisses and Clos des Goisses Juste Rosé. 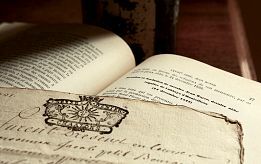 The names of these three cuvées refer to the ancestors of the Philipponnat family, vineyard owners and wine-merchants, suppliers to the court of Louis XIV, magistrates and mayors of Ay (a town which came under the royal domain). All three are produced from grapes that mainly come from the finest Premier and Grand Cru vineyards in the heart of Champagne, with a majority of Pinot Noir. The wines used in the blending process are obtained from the first pressing and produced using traditional vinification methods in order to prevent premature oxidation. They are aged in the cellars for three to four years. There is a perfect synergy between the Royale Réserve Non Dosé, Brut and Rosé Champagnes. The reserve wines (25 to 35%) are aged in casks using the solera system: they are re-blended each year to incorporate more complex wines with no loss of minerality. 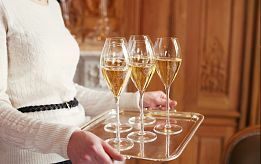 Royale Réserve Brut is the purest expression of the House’s style. Offering a superb balance between structure, persistence and vinosity, this cuvée reveals the essential character of the Mareuil-sur-Ay terroir (where mainly Pinot Noir grapes are grown, which is predominant in the blend). After three years aging on lees, Royale Réserve Brut is pleasantly mature while losing nothing of its freshness, making it an ideal aperitif wine. Its vinosity enhances white meat, charcuterie and fish. Royale Réserve Non Dosé expresses the quality of the House’s non-vintage blends without artifice. The total absence of sugar in this cuvée reveals all the qualities which are characteristic of this wine and offers a subtle combination of aromatic precision (citrus notes, orange zest), minerality and vinosity. This is a wonderfully fresh aperitif wine which is also a perfect match for raw fish and seafood and enhances Japanese cuisine. Light in colour and packed with intense flavour, this is a fresh and elegant wine. In keeping with the House style, Royale Réserve Rosé is distinctive for its delicate bouquet of complex, fruit-filled aromas. In the mouth the attack is precise, with hints of spice enhanced by notes of fruit. This elegant Rosé is perfect as an aperitif and goes marvellously well with smoked meats and fish, charcuterie and desserts made with red summer berries. The ultimate expression of the Champagne region’s finest terroirs, in particular Ay, Mareuil-sur-Ay and Côte des Blancs (exclusively Premier and Grand Cru plots), Philipponnat’s vintage cuvées reflect each harvest’s distinctive character: they are produced from a selection of the finest grapes from a single year’s harvest. Each one has its own style, but they all have one thing in common: their elegant vinosity. 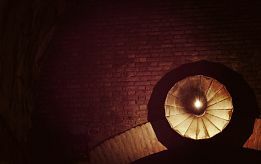 The wines used to blend them are made using first-press juice and vinified using traditional methods, partly in wooden casks, with no malolactic fermentation. 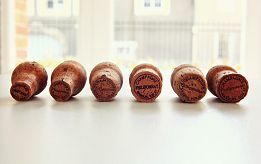 They are given even greater complexity through extended aging on lees in bottles in the cellar for six years or more. The Blanc de Noirs Brut cuvée, an ambitious blend from the great Pinot Noir terroirs of Ay and Mareuil-sur-Ay, is crafted only in very fine years and is the result of a careful selection of the year’s best wines. Full-bodied and powerful, this cuvée is nonetheless overflowing with elegance and freshness. It can be enjoyed equally on its own or as an accompaniment to an entire meal. 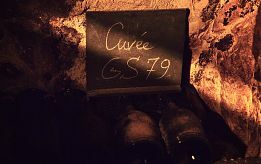 This cuvée, which formerly contained a portion of Chardonnay in the blend, was called Réserve Millésimée until the 2005 vintage. 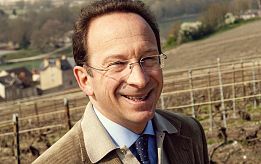 Blended using wines from the finest chalk Chardonnay terroirs in the Champagne region, Grand Blanc stands out as a unique cuvée in Philipponnat’s range of wines, of which Pinot Noir is the signature grape. Although it has intense flavour and a creamy texture, this wine also displays the delicacy and finesse of a great Blanc de Blancs. Moderately dosed Grand Blanc is always a vintage cuvée and makes a superb aperitif Champagne for special occasions. It is an excellent choice to accompany shellfish. A perfect complement to the House’s trilogy of vintage wines, Sublime Réserve is a dry (30 g/l) Blanc de Blancs specifically developed to accompany haute cuisine. This pure Chardonnay, blended from the finest vintage years, is distinctive for its slight acidity which gives it a certain freshness and highlights its aromas of white fruit, butter and honey. Sublime Réserve Sec is the ideal Champagne to bring out the full potential of creamy dishes and foie gras and to enhance Asian cuisine and light pastries. 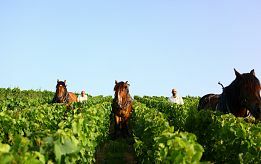 Their name commemorates the year that the Philipponnat family settled in the village of Ay, in the heart of Champagne. As far back as the Philipponnat archives go, there are records of the family ancestors, the first of whom, Apvril le Philipponnat, owned vines at a place called Le Léon between Ay and Dizy from 1522. The 1522 and 1522 Rosé cuvées are exceptional Champagnes, crafted from the House’s most remarkable wines - always Grands Crus - of which most are vinified in wooden casks with no malolactic fermentation. The red Mareuil wine which is used to craft the 1522 Rosé is produced from Premier Cru vines. Dosed as extra-brut (4g/l) they express the full minerality of the Champagne terroir and are the most perfect demonstration of Philipponnat’s finest blends. Both complex and well-balanced, these two fine Champagnes which have been cellar-aged for 6 to 8 years are full of subtlety, with a distinctive style which owes more to balance than great power. The village of Ay, home to the Philipponnat family for 16 generations, is clearly recognisable in the antique engraving featured on the label of Cuvée 1522. This exceptional cuvée is blended exclusively from the House’s most outstanding vineyards and grapes, in particular the historic plots at Le Léon in Ay, which give it its body, minerality and distinctive notes of pepper and spices. This is an extra brut Champagne. With meals, it is an excellent match for salt-water fish, such as turbot, and white meat. Complex and well-balanced, the pleasant liveliness of this rosé version of Cuvée 1522 makes it a very great rosé Champagne, at once direct and mineral, fruity and spicy. Its character is partly due to vinification in casks but above all to the slight tannins provided by Pinot Noir (vinified as a red wine) from the House’s vineyard at Mareuil-sur-Ay. It is an equally good match with lamb, red mullet or seafood thanks to its balance of minerality and fruit. 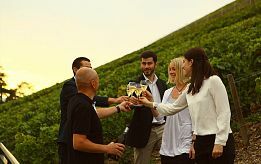 Using grapes from one of the oldest and most famous walled vineyards of the area, not to mention the steepest (45°), Philipponnat has created an exceptionally powerful wine for the Champagne area. With its fully walled 5.5 hectares, the Clos des Goisses stands on the finest slope in Mareuil-sur-Ay. The House has owned this remarkable vineyard for nearly a century; facing due south, it is unique and instantly recognisable for its extremely steep slope. 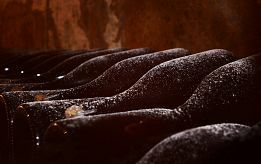 Clos des Goisses is the most powerful of all Champagnes. It is produced using grapes grown on a unique, pure chalk hillside with a 45° slope facing due south, in Mareuil-sur-Ay. Its name certainly reveals its true nature; in the old Champagne dialect, Gois or Goisse means a very steep slope. This is always a vintage wine with a very low dosage. Vinified mainly in wooden casks with no malolactic fermentation, it is distinctively full-bodied with an exceptionally long finish. A very great wine as well as being a very great Champagne, Clos des Goisses is specifically intended as an accompaniment to haute cuisine. Mineral and intense, it makes an unforgettable match for dishes with strong flavours: game, truffles, caviar and cheese. A legendary wine much appreciated by collectors, Clos des Goisses Juste Rosé is unanimously applauded by the most distinguished wine-critics. This rosé Champagne expresses the intensity of an exceptional terroir and owes its name of Juste Rosé to its light colour, evidence of long and careful aging process. Its texture is precise and generous on the palate, combining freshness and fruitiness. Clos des Goisses Juste Rosé is amazingly complex and is particularly enjoyable with pink meat, veal and lamb, as well as large shellfish. The House's single-plot cuvées come from the finest terroirs in the Philipponnat vineyard. 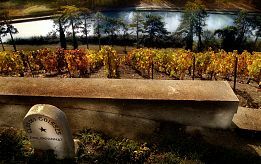 The grapes selected to craft Le Léon, Mareuil-sur-Ay and Les Cintres are all grown in the House's historic Premier Cru and Grand Cru plots: at Le Léon in Ay, where Apvril le Philipponnat owned vines from 1522, in Mareuil-sur-Ay where the House’s head office is situated and lastly in Clos des Goisses, a terroir which is unique in Champagne. These vintage blancs de noirs* have been cellar-aged for at least seven years. Their “extra-brut” dosage allows them to express their full complexity and aromatic richness. Philipponnat’s 100% Pinot Noir single-plot cuvées offer perfect balance between freshness and vinosity, and exemplify the House style, of which this variety is the signature grape. Produced in small quantities, this trilogy of exclusive champagnes reflects the quintessence of Philipponnat wines. “Le Léon” plot, located between Ay and Dizy, is one of both the Champagne region’s and the House's historic terroirs; Apvril le Philipponnat owned vines there as early as 1522. Classified as a Grand Cru, it is planted exclusively to Pinots Noirs. 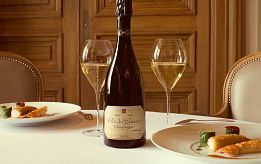 The 2006 vintage “Le Léon” single-plot cuvée offers notes of citrus, white pepper, sweet pepper and strawberries, characteristic of the minerality of the Ay chalk terroir. This exceptional champagne is a subtle match for seafood and saltwater fish and is also a perfect accompaniment for roast meat, bellota ham and washed rind cheese. 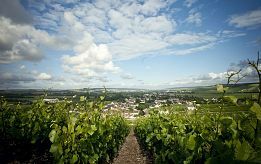 “Mareuil-sur-Ay” single-plot cuvée offers the most precise expression of this centuries-old Premier Cru terroir planted mainly to Pinot Noir. On tasting, it is characteristic of 2006. Fruity and delicate, it is pleasantly light on the palate. This wine is a subtle partner for seafood and shellfish and also enhances white meat and soft cheeses. The "Les Cintres" plot lies at the heart of Clos des Goisses. It offers the most intense expression of this exceptional terroir: its vines, facing due south, benefit from an ideal amount of sunshine all year long. On tasting, the 2006 vintage combines notes of red fruit and raspberry eau-de-vie with hints of smokiness. Its exceptional aromatic range and wonderfully fresh finish make it the ideal champagne to accompany lobster, sea fish and white meat. Kept for a few years longer, the cuvée will also enhance stews and cheeses.